Festival in 1954. Won Academy Award for best foreign film. Carl Theodor Dreyer is one of world cinema’s most celebrated and enduringly praised filmmakers. His visually arresting, pared-down style has been a major influence on such contemporary directors as Carlos Reygadas and Lars von Trier. 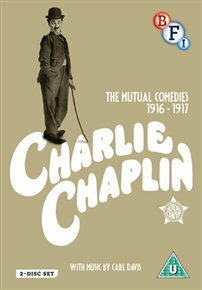 This strictly limited edition Blu-ray box set collects a number of his most revered, awardwinning films, some of his lesser-known works, and an extensive selection of extra features. Alongside award-winning classics Day of Wrath (1943), Ordet (1955) and Gertrud (1964), the silent Master of the House (1925) is presented here for the first time in both its Danish and English inter-titles versions. In addition, seven of Dreyer’s short films – made between 1942 and 1955 – are presented in full High Definition for the first time. Set during the Third Reich and its aftermath, this lyrical, harrowing tale of love and war is a neglected classic of New German cinema. Hans and Lene scarcely have time to meet and marry before Hans is sent away to fight, leaving Lene to give birth during an air raid and struggle through the war with a baby daughter. 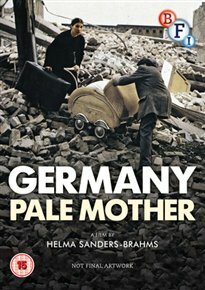 Based on director and writer Helma Sanders-Brahms’ mother’s experience, the film explores the devastating impact of politics of family life. Eva Mates (Lene) gives a brilliant, fearless performance, with the film casting a powerful emotional spell which is intensified by a delicate, plaintive piano score. German critics savaged the film at its premier, baulking at its ‘subjective’ female take on recent history. 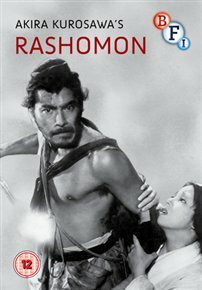 Cut by 30 minutes for cinema release, only now has it been restored to its impressive original form and released for the first time on Blu-ray. period of film-making as the most inventive and liberating of his career. Over the past twenty years, Bill Morrison has built a filmography of more than thirty striking and original works which have been presented in cinemas, museums, galleries and concert halls worldwide. Making use of rare archival footage, which has often been decayed by the passing of time, Morrison explores the power of film as a medium which is evocative of memory and gives rise to a sense of collective mythology, Morrison’s exquisite and timeless films are scored by the cream of the US underground / avant-garde music scene, including Dave Douglas, Henryk Górecki and Bill Frisell. 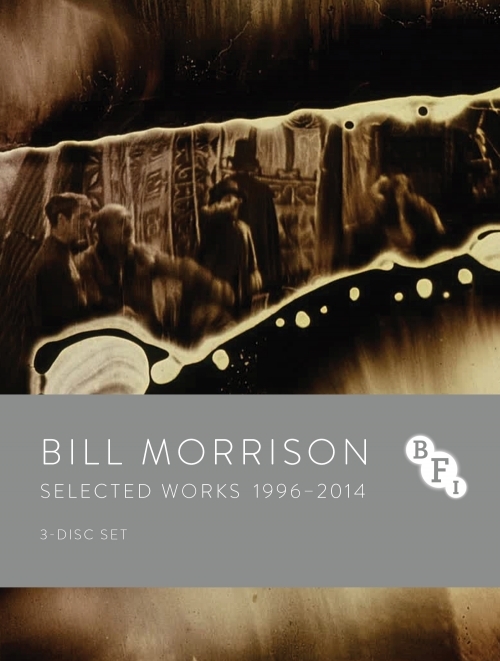 This extensive collection makes Morrison’s acclaimed films available in Europe for the first time. The set includes his renowned 2002 feature Decasia (67 mins) as well as the evocative Spark of Being (67 mins), The Great Flood (78 mins) Light is Calling (8 mins), The Mesmerist (16 mins), Ghost Trip (23 mins), Outerborough (9 mins), Who by Water (22 mins) and Just Ancient Loops (26 mins). Regarded by many to be the best incarnation of the Baker Street sleuth, Douglas Wilmer gives a career-defining performance in this celebrated BBC series. Intelligent, quick on his heels, and bearing a striking resemblance to the original Sidney Paget illustrations, Wilmer’s portrayal is possibly the closest to Conan Doyle’s original vision that there has ever been. In 2012, his status as legend within the Sherlock pantheon was cemented when he was asked to make a cameo appearance in Sherlock with Benedict Cumberbatch. Peter Wyngarde (Department S, The Innocents) and Patrick Troughton (Doctor Who), the popularity of the series gave rise to a second series, in which the role of Sherlock was played by Peter Cushing. 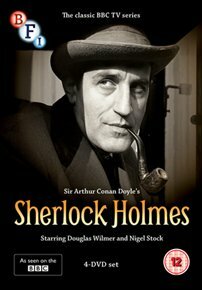 Presented for the first time on UK DVD, this long-awaited release also includes an array of fascinating special features, including two reconstructions of partially-surviving episodes, an alternative presentation of the Detectives pilot, an alternative title sequence, an interview with Douglas Wilmer and a number of newly-recorded audio commentaries.